The 9-month extension to the OPEC deal has had a surprisingly negative impact on oil prices, which headed downward once again at the start of the week due to the ending of Qatar’s diplomatic ties with fellow GCC members. • OPEC production cuts have been working--at least as far as OPEC revenues are concerned. • IEA estimates the cartel has been earning an extra $75 million per day compared to the previous year despite cutting production from 33.3 million barrels per day to 31.9 million barrels per day currently. • The cuts have, however, done little to trim global inventories which remain well above normal levels. • ExxonMobil (NYSE:XOM) has signed a production sharing contract with the state of Equatorial Guinea for a deepwater block that the energy minister has labeled the crown jewel of properties it plan to sign this year (read: a gusher). • Helix Energy (NYSE:HLX) shares ratchet higher after Cowen serves up an upgrade due to an attractive risk-reward profile based on attractive EBITDA and net asset value. • Tesoro (NYSE:TSO) climbs to 3-month high after Deutsche Bank upgrade due to heavily discounted shares relative to peers based on sum of parts valuation. In a seemingly contrarian move, oil prices have fallen 5 percent since OPEC member states agreed to a 9-month extension on production cuts. And as Libya ramps up production, the U.S. pulls out of the Paris Climate Agreement and Qatar is excluded from the GCC, the market is awash with bearish news. Market jitters after Arab nations severe ties with Qatar. The U.S. oil and gas markets all slipped lower-- near the 2017 low of $46--after Saudi Arabia, Egypt, Bahrain, Yemen, Libya and the Maldives severed diplomatic ties with Doha over allegations of meddling with their internal affairs and supporting several terrorist groups. There are widespread fears that Qatar might retaliate by disrupting the latest oil production deal. That, however, remains to be seen because Qatar ships just 618k bbl/day, or ~2 percent of OPEC output. Qatar though is the world's largest exporter of liquified natural gas, shipping one-third of global LNG supply. The dispute has so far not caused any disruptions in the region's energy sector since Qatar's gas supplies are still going through the 3.2B cf/day Dolphin pipeline, a joint venture between Occidental Petroleum (NYSE:OXY), Total (NYSE:TOT), and UAE state-owned Mubadala. OPEC extension met with indifference. In a seemingly bizarre move, oil prices plunged as much as 4 percent after OPEC and non-OPEC members, including Russia, agreed to extend the current oil production cuts through March 2018. The price action though is not as strange as it first looks. OPEC is merely interested in keeping a floor under prices and appears satisfied with current production levels which have yielded a considerable revenue improvement for cartel members. The market, however, was looking for deeper cuts so as to bring down inventory levels and offer solid ground for a sustained recovery. U.S. rig count rises for record 20th week in a row. U.S. rig count climbed for the 20th consecutive week, a record for the industry, according to the latest weekly survey by Baker Hughes. Oil rigs increased by 11 to 733 while gas rigs fell by 3 to 182. That's more than double last year's comparable readings of 325 and 82 active oil and gas rigs, respectively. There are growing fears that increasing U.S. output will frustrate efforts by OPEC to lower global inventory levels. Libya's high output presents another quandary for OPEC. The U.S. is, however, not the only country that OPEC has to contend with in its efforts to control production. 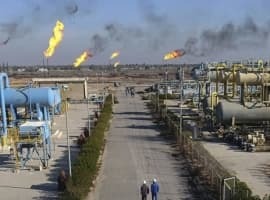 Libya, an OPEC member itself, has been ramping up oil exports, and could hit 1 million barrels per day in a matter of weeks. Sustained production at that level will offset at least one-third of OPEC cuts, implying that it might take considerably longer than the targeted nine months to bring down inventories to acceptable levels. With some luck, the country's decaying infrastructure and fragile peace might prove enough to limit its ability to continue beefing up production. Oil hit by the U.S.' withdrawal from Paris Agreement. Oil prices slipped 2 percent after president Donald Trump's decision that the U.S. ceases being a signatory of the 2015 Paris Climate Agreement. Trump argued that the Paris Agreement would negatively impact the U.S. economy over the long-term and limit the ability of American companies to remain competitive in world markets. The President offered to renegotiate terms of the initial agreement, but was quickly turned down by other signatories. Now the markets are reacting to fears that the U.S.' withdrawal could trigger even more drilling. The U.S. oil industry exported 1.3 million barrels of crude per day to the world market last week, and at this rate could soon nullify the 1.8 million barrels per day reduction that OPEC and Russia agreed to make to daily production. Related: Can Canadian Crude Compete In Asia? Saudi's Aramco not coming to America? The flotation of the much-hyped Saudi Aramco's IPO-ARMO.SE might not be coming to America, after all. 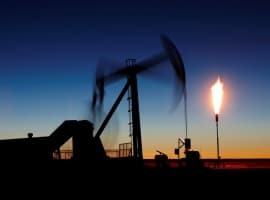 A legal firm has advised the oil-rich state that a New York listing carries the greatest litigation risk, even as investment bankers and corporate lawyers continue salivating on prospects of the mammoth deal. 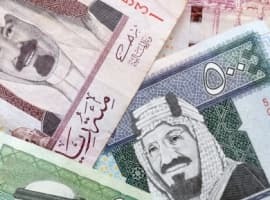 The Saudis though might end up favoring a listing on the London Stock Exchange if U.K. regulators give Aramco fast-track entry to the FTSE 100. To do so they would have to overlook the fact that the state-owned company is only willing to sell a mere 5 percent slice of itself to the public, way short of the 25 percent requirement by the English bourse for a premium listing. The IPO is estimated by analysts to be worth $2 trillion, easily the biggest IPO of all time. BHP reviewing sale of critical shale assets. Under pressure from activist investor Elliott Management, BHP is now engaging in talks with competitors over sale of parts of its U.S. shale business. The activist hedge fund has proposed an independent review of BHP's $22.5 billion petroleum division as well as a spinoff of all U.S. oil and gas assets. Indonesia keen to rejoin OPEC. Tired of playing renegade, Indonesia is now seeking to rejoin OPEC and has already sent a letter to the organization as confirmed by the country's Energy and Mineral Resources Ministry spokesman. Indonesia was kicked out of OPEC in December after it refused to accede to the proposed production cuts. "The U.S. oil industry exported 1.3 million barrels of crude per day to the world market last week, and at this rate could soon nullify the 1.8 million barrels per day reduction that OPEC and Russia agreed to make to daily production." Slow down just a minute, the US is a huge net importer of oil, first or second, depending on China. If we export more, that means we sucked from existing supplies or imported more, but the net effect on global oil inventories is zero. Only if we produced more than we used could we make a net impact, and that probably won't happen until the oil age winds down.